When my dad first approached me with this recipe (thanks to Wal-mart’s Family Cookbook), I thought he was completely ridiculous. I’m not quite the fr uit person (some reason I can’t handle the acid) and I couldn’t imagine FRUIT for dinner, but once he made it…I couldn’t get enough of it. This recipe is sweet and delicious! I hope all of you give this a try without judging it first! Drain pineapple chunks and mandarin oranges and reserve ½ cup of the liquid. 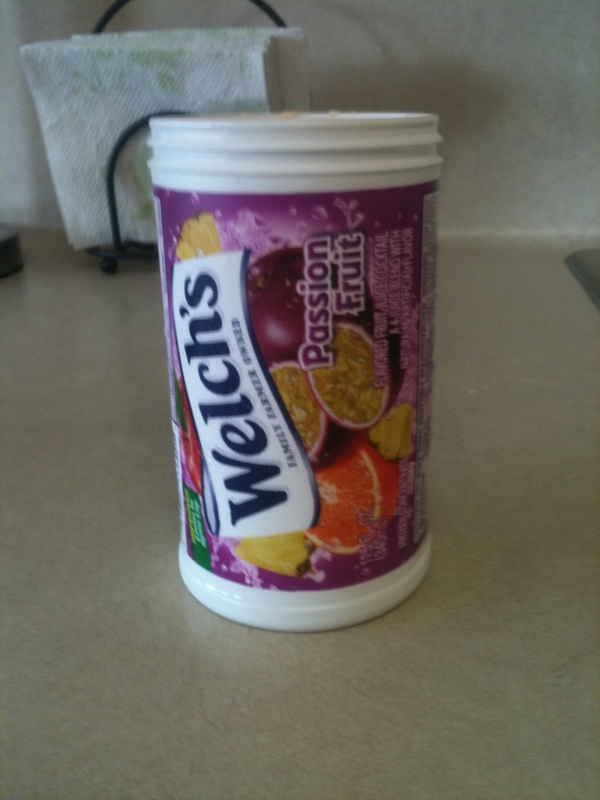 Stir the fruit liquid, water, tropical passion (allow to defrost), and corn starch and set aside. Heat up oil in a pan and add in vegetables. Cook until tender. 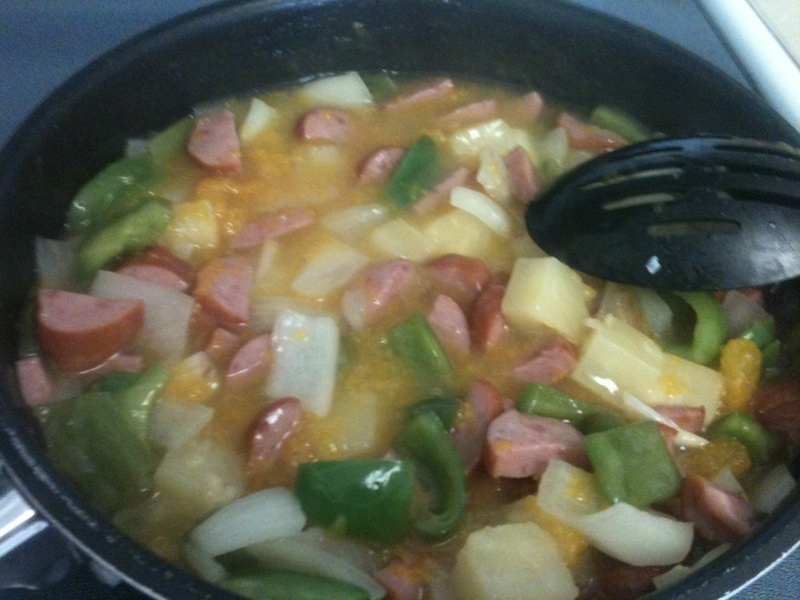 Then add in the polska kielbasa. Add in ½ the juice mixture and allow to boil. Lower the heat. Add in the rest of the juice mixture and the orange sections (if you’d prefer your oranges to stay whole then don’t add them until the last step). Allow to simmer for a few minutes and then remove from heat. 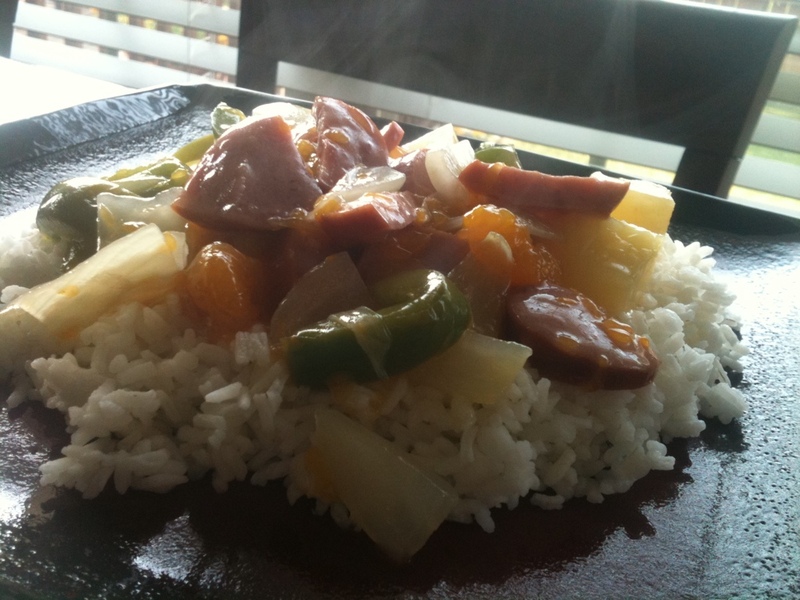 Cook on top of cooked rice.